Cliff brings deep and broad leadership experience to his coaching practice. Throughout his distinguished career, both in and out of the military, Dr. Stanley has helped men and women exceed their expectations while building cohesive teams dedicated to high achievement and selfless service. Dr. Stanley has a proven track record of being a visionary and inspirational leader dedicated to diversity, families, and a true sense of taking care of others. Cliff’s experience spans significant leadership roles in the military, federal government, higher education, and nonprofit sectors. As a coach, he leverages these experiences as he guides others to high performance. He specializes in executive coaching, strategic decision making, sales effectiveness, and organizational culture. Cliff served 33 years in uniform, retiring as a Major General in the United States Marine Corps. His last official position in the Department of Defense was that of Under Secretary of Defense for Personnel and Readiness. In that capacity, he was the senior policy advisor to the Secretary of Defense for recruitment, career development, pay, and benefits for 1.4 million active duty military personnel, 1.3 million Guard and Reserve personnel, 680,000 Department of Defense civilians, and was responsible for overseeing the overall state of military readiness. He has also served as the President of Scholarship America, the nation’s largest nonprofit, private-sector scholarship organization, and as the Executive Vice President of the University of Pennsylvania. A graduate of South Carolina State University with a degree in psychology, Cliff also received his master of science degree from Johns Hopkins University in counseling, graduating with honors. His formal military education includes Amphibious Warfare School, the Naval War College, Honor Graduate of Marine Corps Command and Staff College, and National War College. 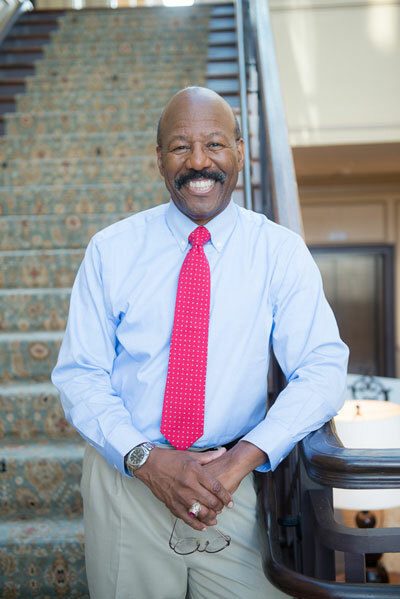 Dr. Stanley earned his doctorate degree from the University of Pennsylvania, and holds honorary doctor of laws degrees from South Carolina State University and Spalding University. He also holds a doctor of science honoris causa from The Medical University of South Carolina, and an honorary doctorate of humane letters from Stillman College.